Rumbling around the heavy metal underground of America's northern plains is Seventh Calling, formed about 1999 and, since 2007, have released one EP and three full albums. The third and lastest is the self-released Battle Call, and promoted by Online Metal Promotions. 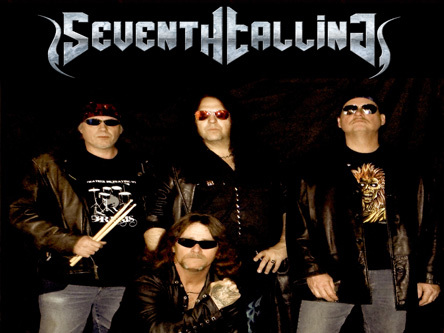 Basically, Seventh Calling plays traditional heavy power metal, pretty much a genre forgotten in the States, which is also a damn shame. So in this fine tradition the band works from the essential elements of twin guitar harmony with sharp and assertive riffs, a hammering, steady to swift rhythm section, and generally clean melodic vocals. Of course these things are enlivened and embellished with an abundance of ripping and roaring guitar solos. It's a tried and true formula, and Seventh Calling has it nailed down. The pacing of the tunes ia generally swift, but necessarily bullet train speed metal, with Perfect Silence, Battle Call, and Deliverance as good examples. Alternatively, Fight For Your Life offers some moderation in it's foreboding dark start. But the speed returns before the mid-point, and the song blazes with guitar solos. The song is also an example where vocalist and guitarist Steve Handel offers some faux, not so annoying, dirty vocals, also within Deliverance. Another more steady number is Fate's Hammer, which is notable for the bass line leading the song at the start. B.I.H., after this does the same, allowing your ears to pick up the entire bass line in the song. For me, that's a bonus. As much as I'm a lead guitar fan, hearing a distinct bass line is essential for proper hard rock and heavy metal. Bottom line: if you like the American side of traditional and classic melodic heavy power metal Seventh Calling's Battle Call should be on your short list of next albums to buy. Recommended. 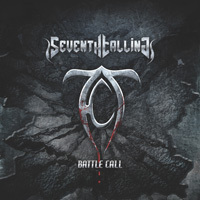 If you like the American side of traditional and classic melodic heavy power metal Seventh Calling's Battle Call should be on your short list of next albums to buy. Recommended.